The group Man evolved from the Bystanders, a mid-'60s Welsh combo whose blend of Beatlesque harmonies and blue-eyed soul yielded a number of well-received singles, most notably the progressive and poppy "Royal Blue Summer Sunshine Day." 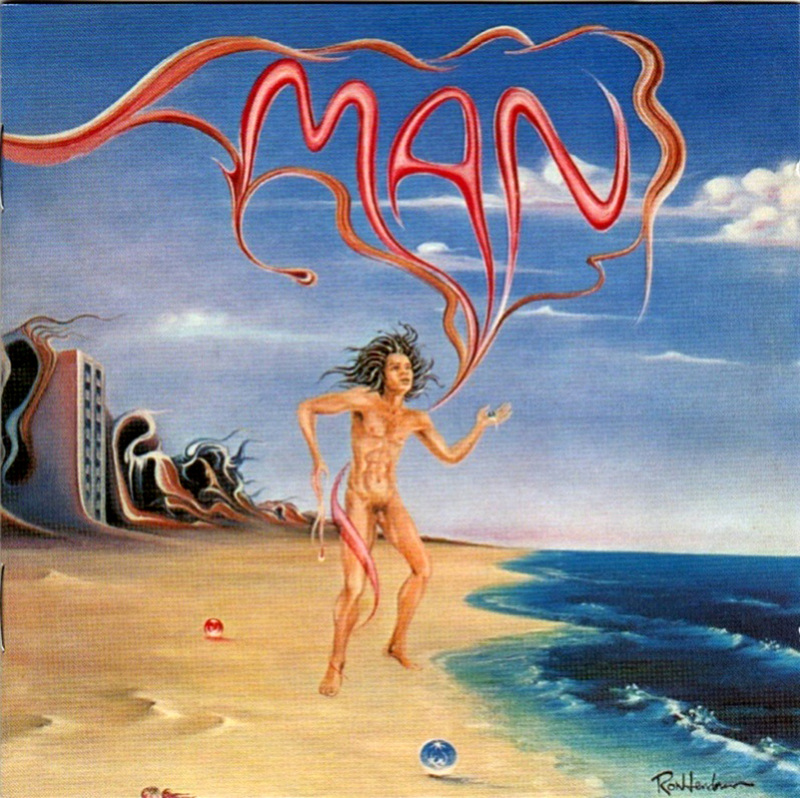 That side was indicative of the direction they would take after changing their name to Man. Perhaps due to the eponymous moniker, this album has long been mistaken as a debut effort. However, prior to this title, they had already released a pair of LPs, Revelation (1969) and the somewhat more centered and ambitious follow-up 2 Ozs. of Plastic with a Hole in the Middle (1969). By the time of this platter, Clive John (organ/piano/electric guitar/harpsichord/vocals), Deke Leonard (guitar/vocals), Martin Ace (acoustic guitar/bass guitar/vocals), Terry Williams (percussion/drums), Roger Leonard (acoustic guitar/piano/electric guitar/steel guitar/vocals), and Micky Jones (acoustic guitar/electric guitar/vocals) had settled into what most enthusiasts consider to be a seminal aggregate. In addition to their exceptional improvisational skills, Man would display a more aggressive sound. The opening track, "Romain," instantly gels into driving blues behind Leonard's woozy steel guitar interjections. "Country Girl" is reminiscent of the New Riders of the Purple Sage, complete with a distinct West Coast county-rock lilt. Both of the extended pieces, "Would the Christians Wait Five Minutes?...The Lions Are Having a Draw" and "Alchemist" are pastiches of well-developed instrumentals, although at times they come off as somewhat dated. There is plenty of inspired interaction, however, especially on the latter song as they unleash some definitive heavy metal licks that could easily be mistaken for seminal Black Sabbath. "Daughter of the Fireplace" is another highlight as a compact and attitude-heavy rocker. 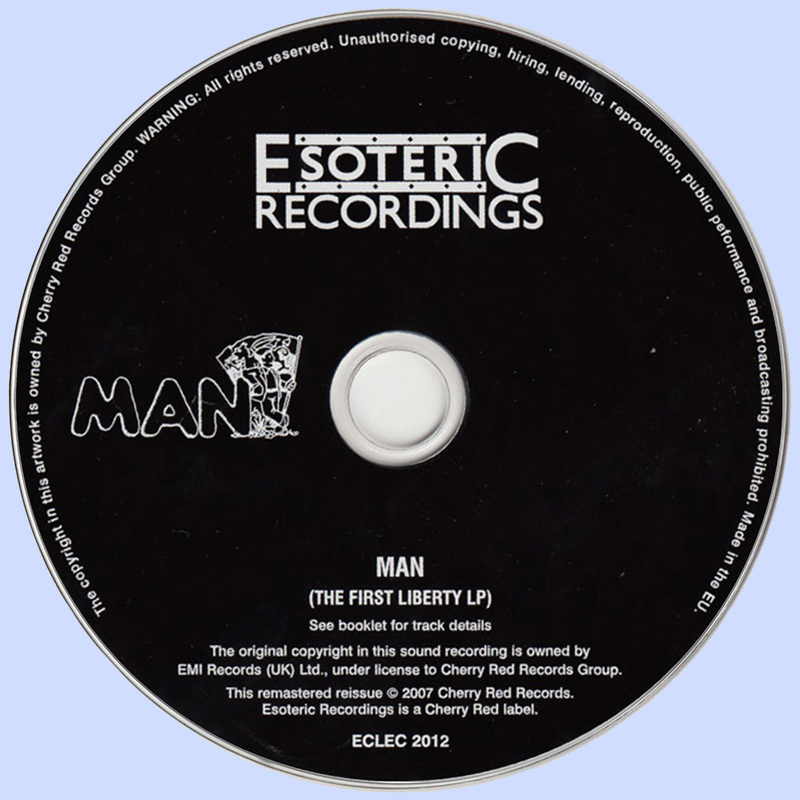 [Interested parties should note that Repertoire's CD reissue of Man (2003) augments the original five cuts with the 45 rpm edits/mixes of "Daughter of the Fireplace" -- which has been amended from five-minutes-and-19-seconds to just under three minutes -- and "Country Girl [Single Version].